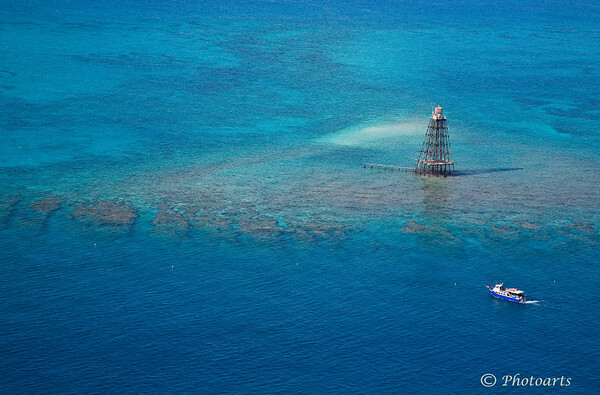 Off the coast of Key West, Florida. Lot of history behind this little Island and the lighthouse that has been standing there over a century. Great, great view - one that could never be matched from a boat !! Superb shot ! Great picture and nice composition. The aerial view really shows of how beautiful the water is in the Keys. Great shot! Very cool shot! Love the blue water!